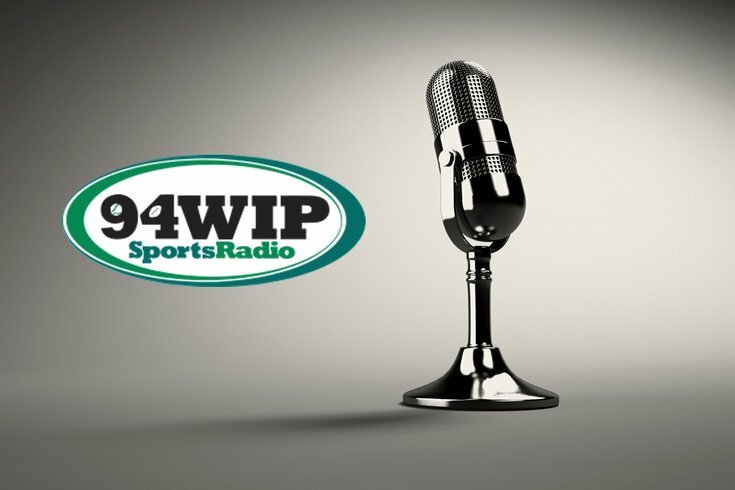 It looks like the unmistakable radio duo of Merrill Reese and Mike Quick will keep calling Philadelphia Eagles games on SportsRadio 94WIP for the foreseeable future. Entercom Communications CEO David Field and Eagles President Don Smolenski announced a seven-year contract extension Tuesday morning as guests on Angelo Cataldi's morning show. The extension will stretch the radio partnership between the team and the station to more than 30 years by its end, Smolenski said. "Don, seven more years with us? What were you thinking?" Cataldi joked. The Eagles' partnership with WIP started in] 1992. Entercom and CBS Radio announced a merger deal last week, which made Entercom the second-largest radio company in the country. Reese, the voice of the Eagles since 1977, is the longest-tenured play-by-play broadcaster in the NFL and in Philly. He is often mentioned with Phillies legend Harry Kalas as the city's greatest broadcaster ever. For those who need reminding of why that is, watch this clip below of some of his calls from the Eagles' 37-9 whipping of the Dallas Cowboys on Sunday night. Reese will continue to call games beyond this season with Quick, his partner in the booth. Howard Eskin will continue to report from the sideline.